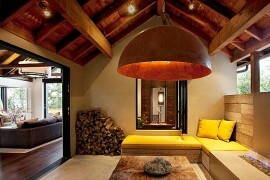 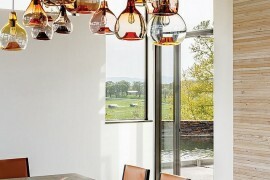 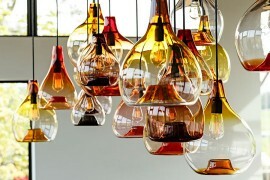 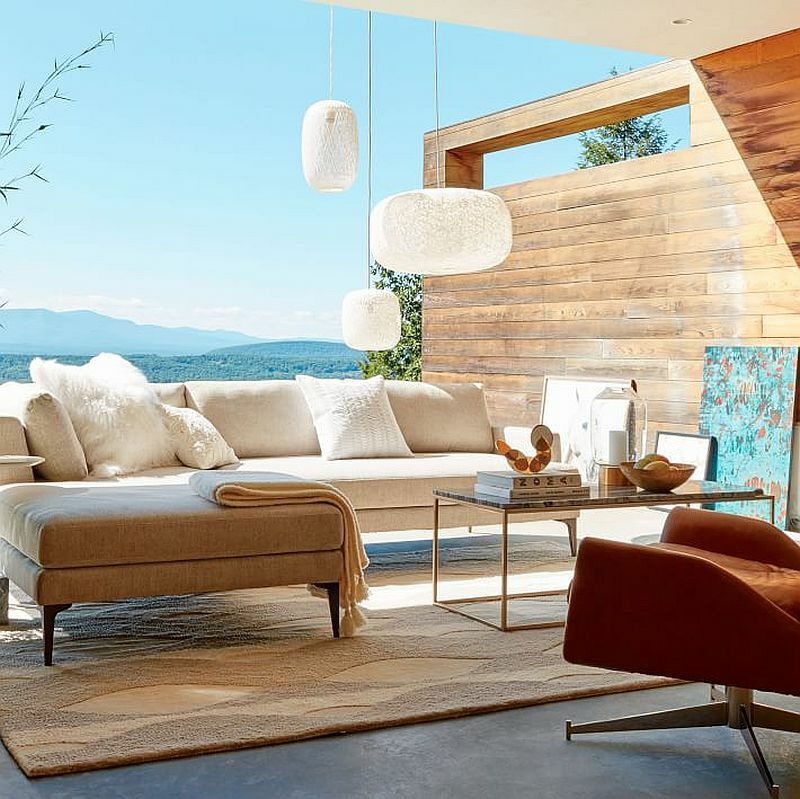 Pendant lights do come in an incredibly wide range of styles and forms. 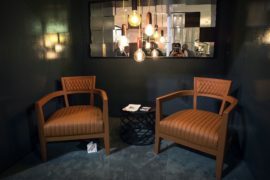 Choosing one that combines latest trends with a sense of timeless charm and the right ergonomics can be a daunting task at times. 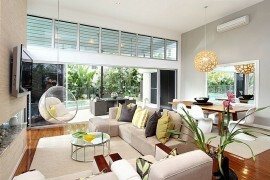 But get it right and you can completely alter the ambiance of your home without really giving it a major makeover! 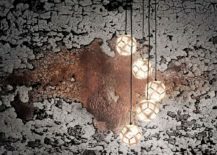 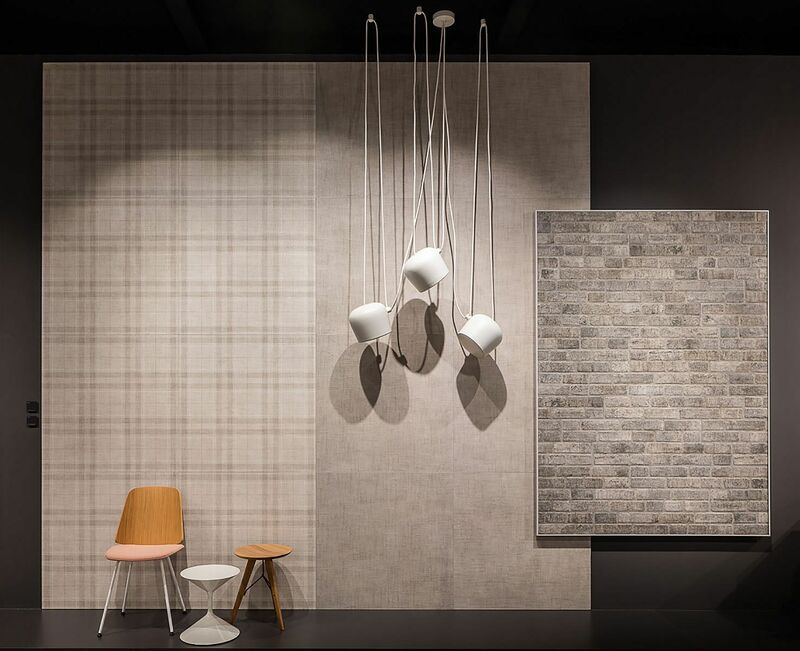 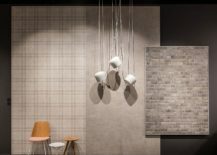 Today, we showcase five fabulous modern pendants that not only illuminate any space they adorn with sheer brilliance but also usher in textural beauty and visual contrast. 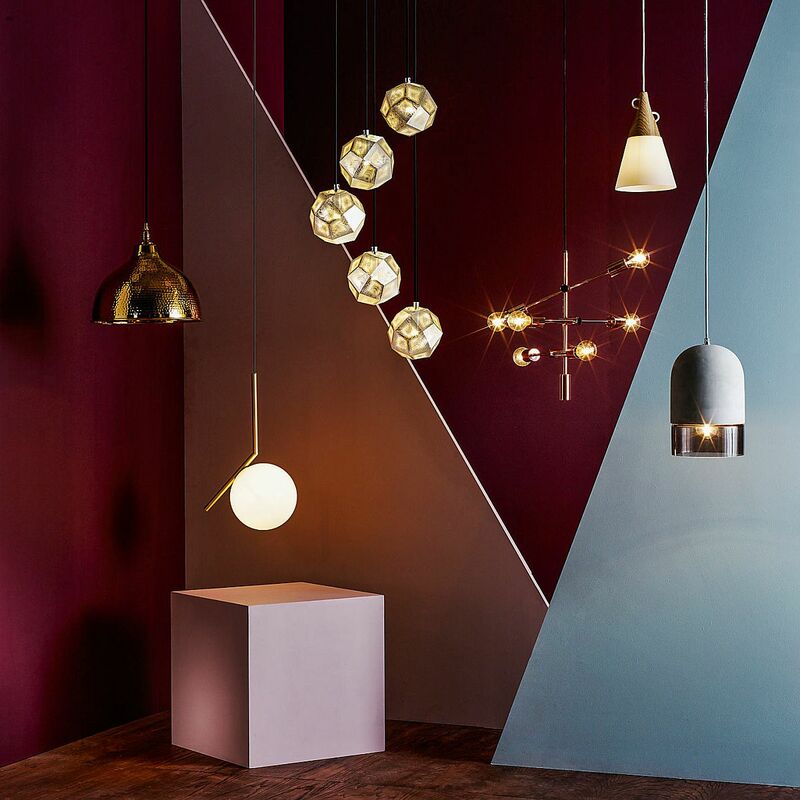 From those that add a dash of geometric beauty to ones that highlight the beauty of metallics – this is a roundup you simply do not want to miss. 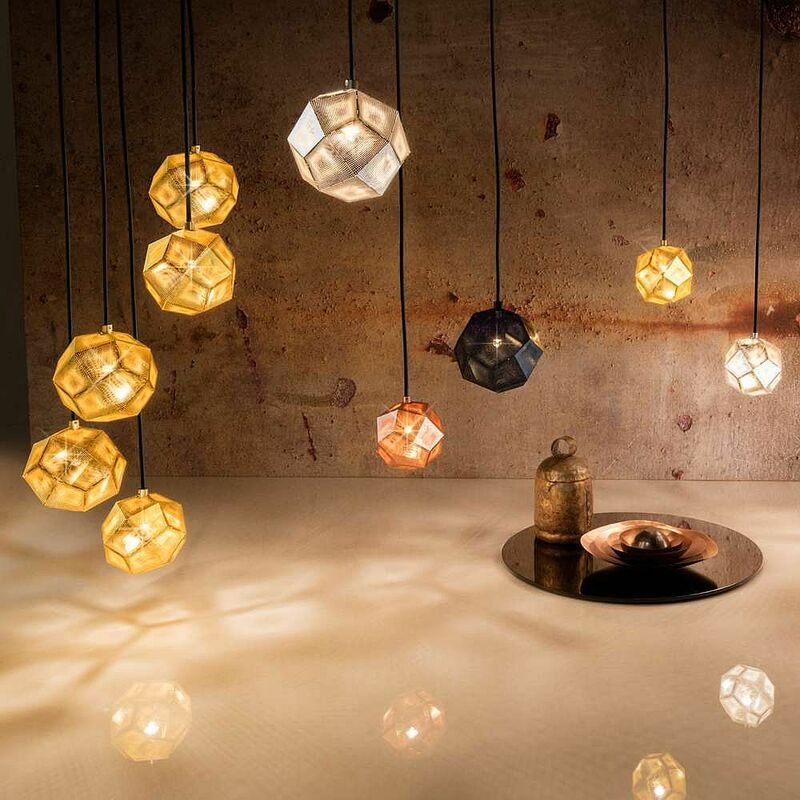 The best part about it all is that some of these gorgeous pendants could well go on to become modern classics that will be appreciated even decades down the line. 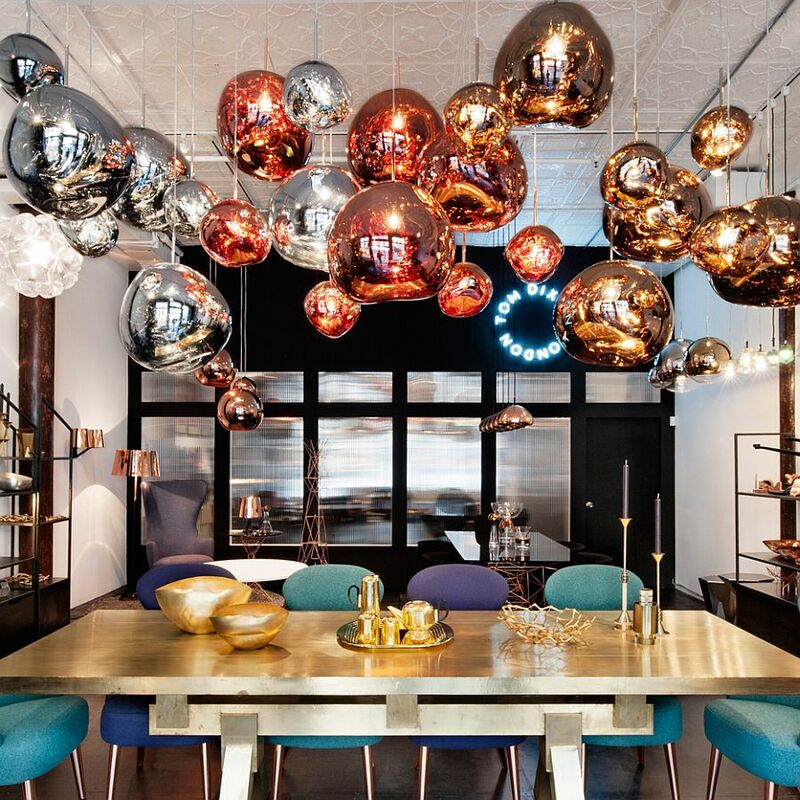 It is your turn to bring home an iconic piece of décor! 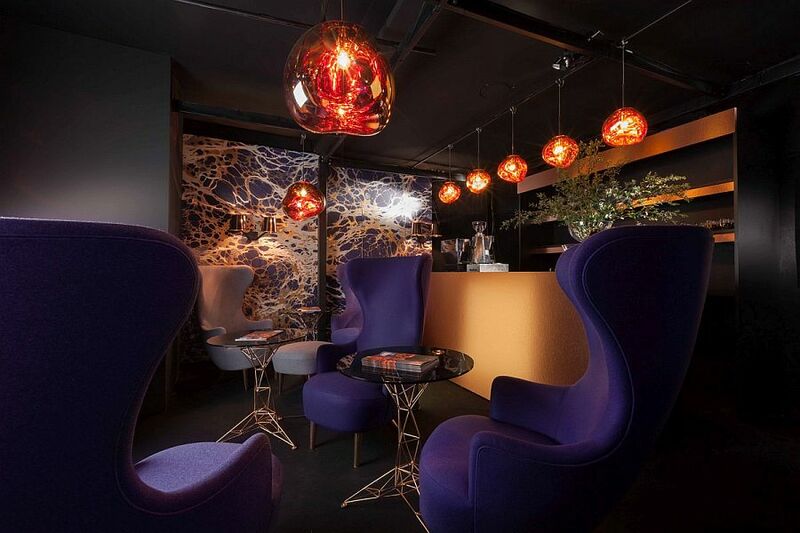 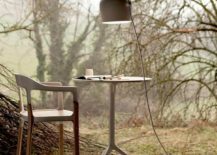 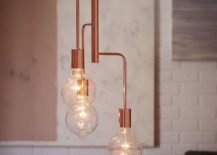 When it comes to super-flexible pendant fixtures, the undoubtedly tops the list with sheer versatility. 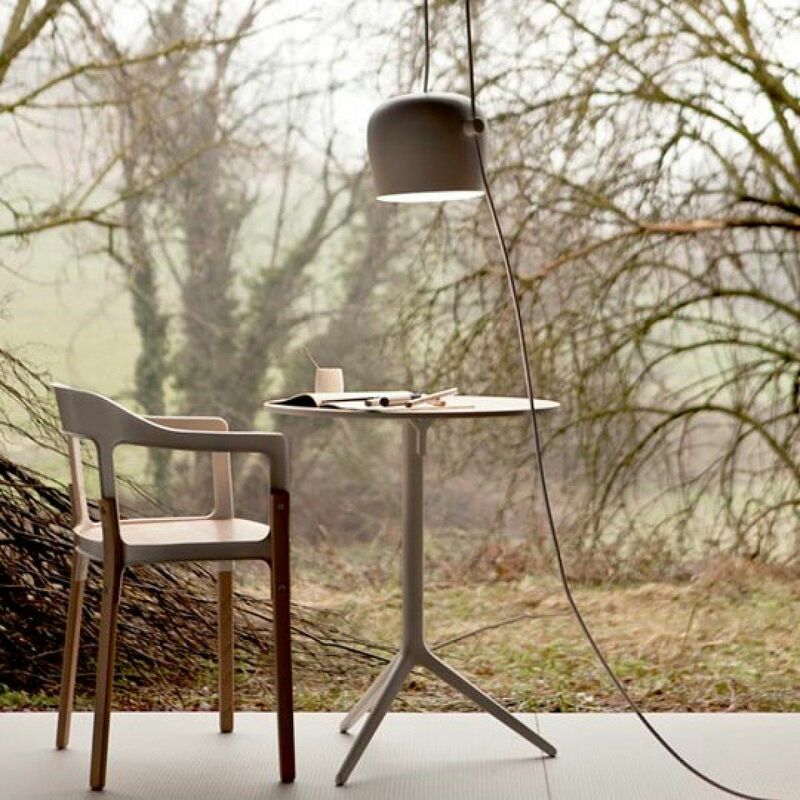 The uncanny design of AIM is essentially simple, industrial and puts the focus firmly on ergonomics above aesthetics. 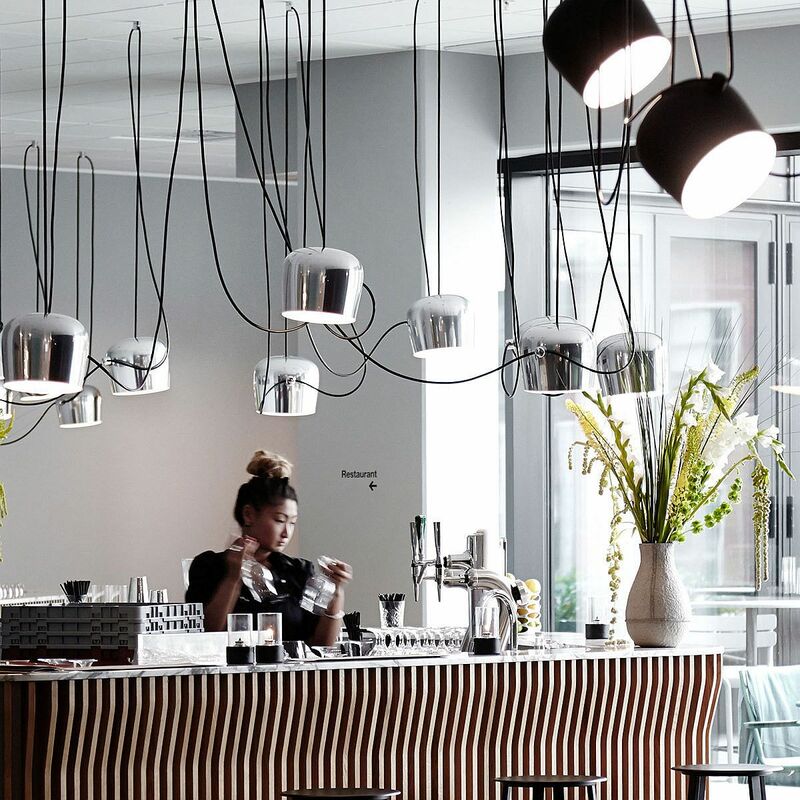 Several different individual lights hung using ‘extra-long’ cables shape this ingenious lighting fixture designed by for Flos. 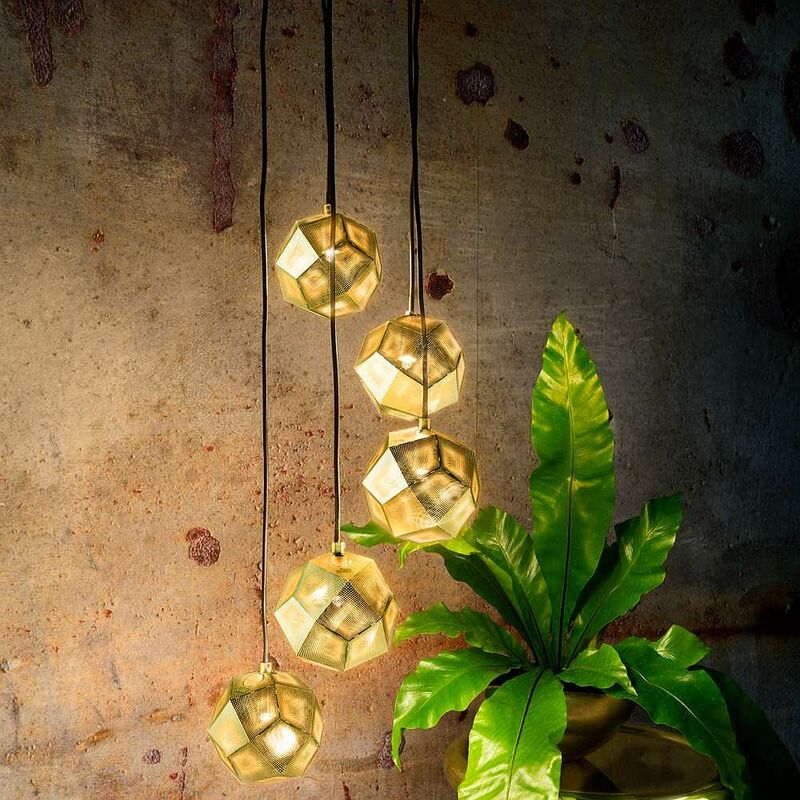 This allows you to use the lights in any way, shape or form and gives you great flexibility when it is time to redecorate the living room or dining space. 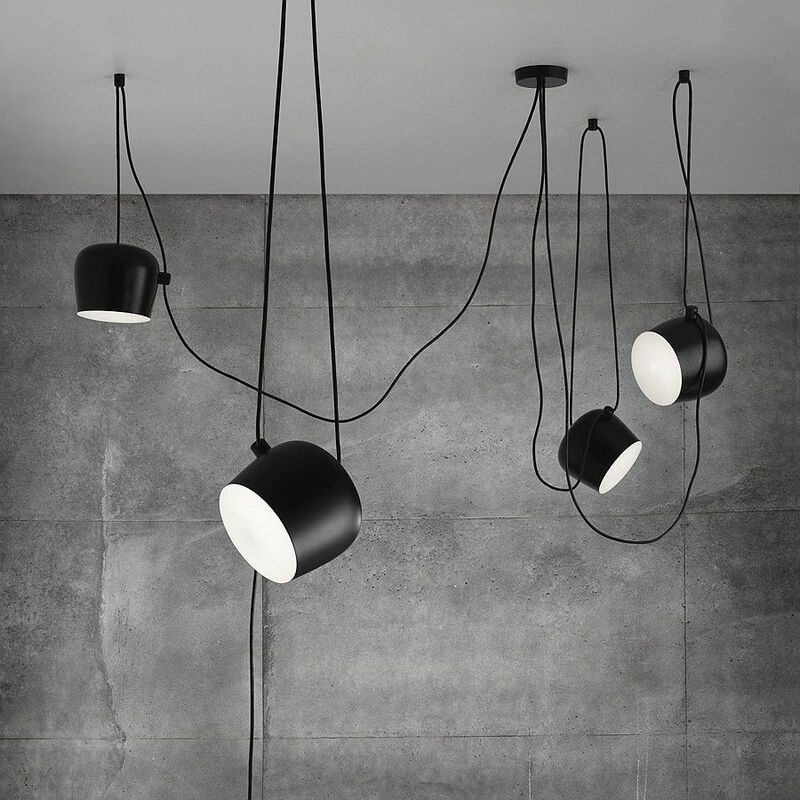 The long cables of the AIM become an essential part of its visual and give the pendants their signature look. 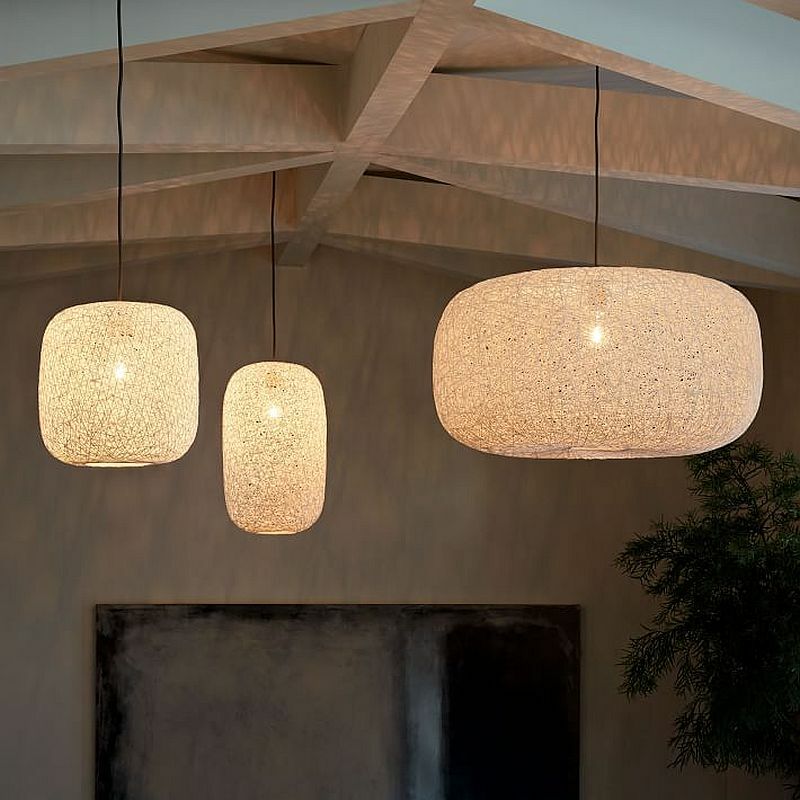 Whether you wish to create a ‘cloud of lights’ hanging in the entryway or wish to just light up the reading nook and the dining space next to it with ease, AIM gets it all done effortlessly. 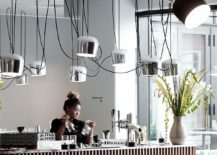 If the Mini Chandelier does not suit your fancy, then you can always turn to the and combine a couple for a more cost-effective and less dramatic approach! 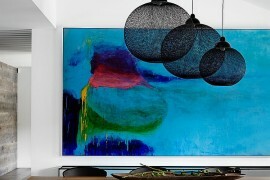 You also have an added option of a black variant to choose from here. 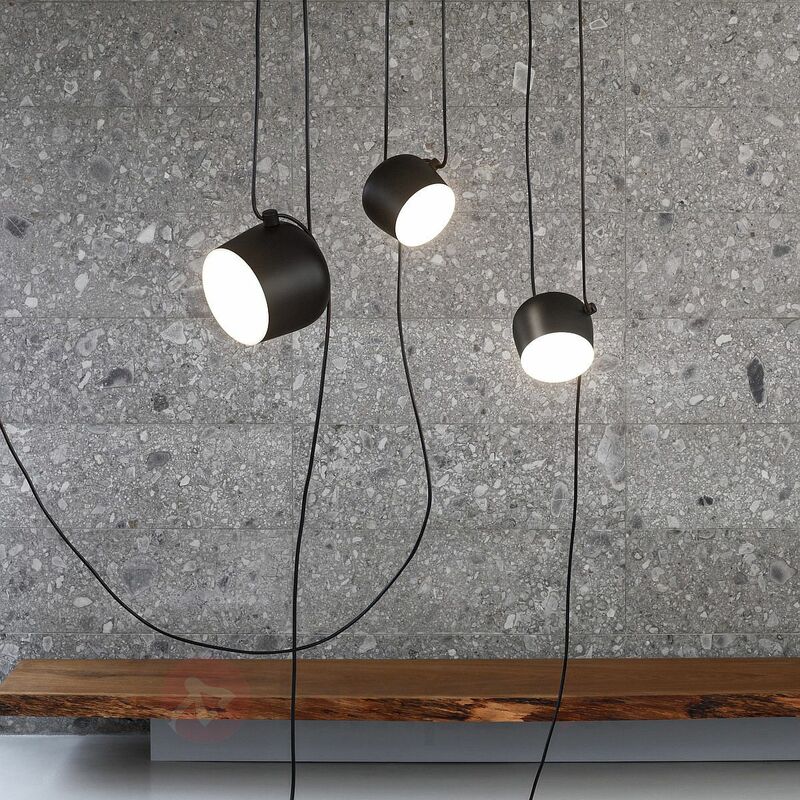 On first look, the form and feel of reminds us of iconic lighting fixtures designed by George Nelson. 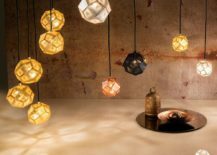 These seemingly cozy lamps have a touch of oriental magic as they were undoubtedly inspired by the silhouette and finish of paper lanterns. 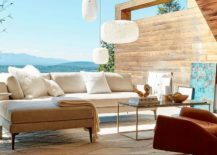 And the best part of it all is that they look as much at home in the living room or bedroom as they do in the balcony and on the porch! 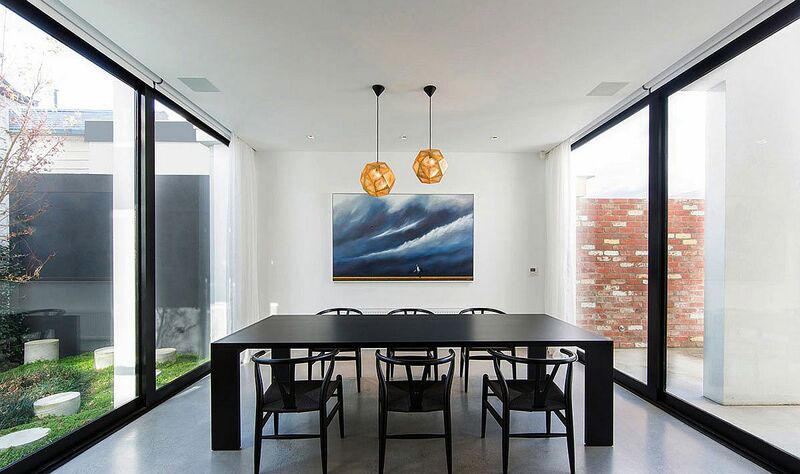 RELATED: Stunning Pendants That Double As Sculptural And Functional Modern Art! 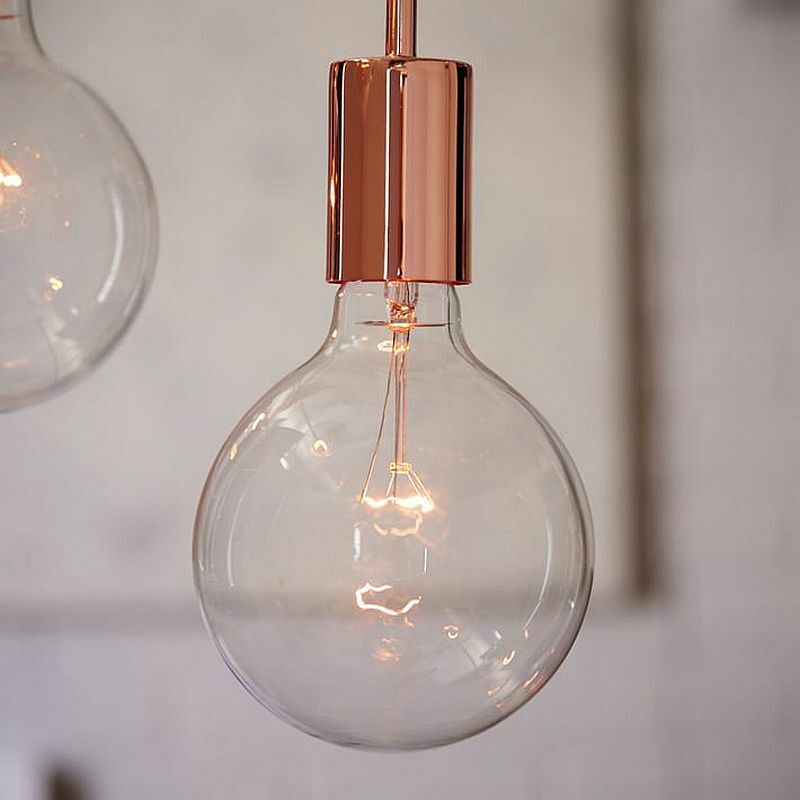 The is definitely one of our favorite industrial style light fixtures as it is simple, unassuming and yet seems to blend in two of the hottest decorating trends – metallic and the use of the Edison bulb. 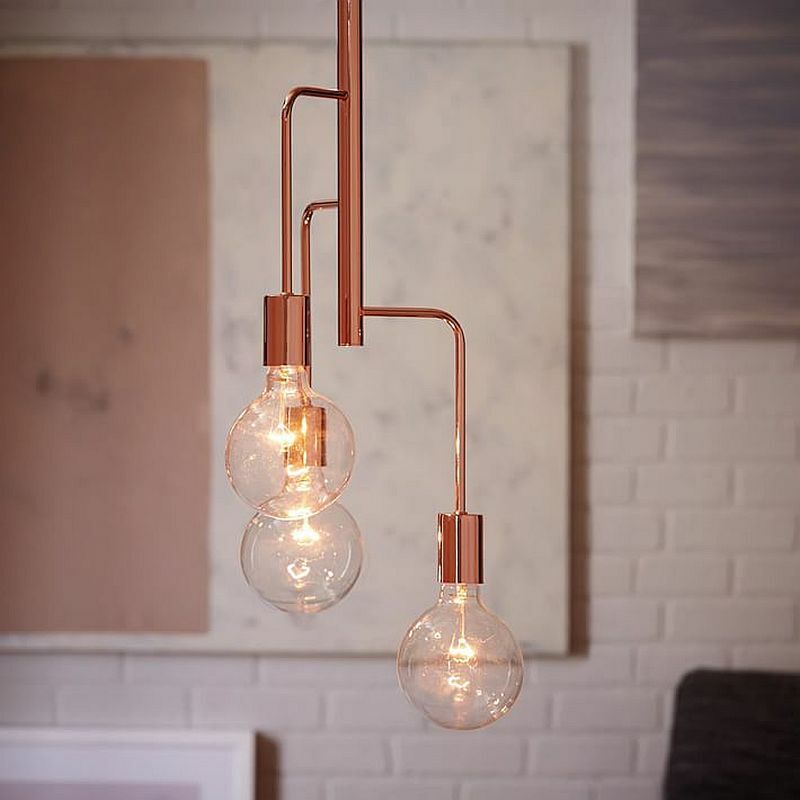 In case you are searching for a dashing industrial style lighting fixture that is not too taxing on your pocket and has a hint of vintage panache, then this delight from West Elm is the perfect buy. 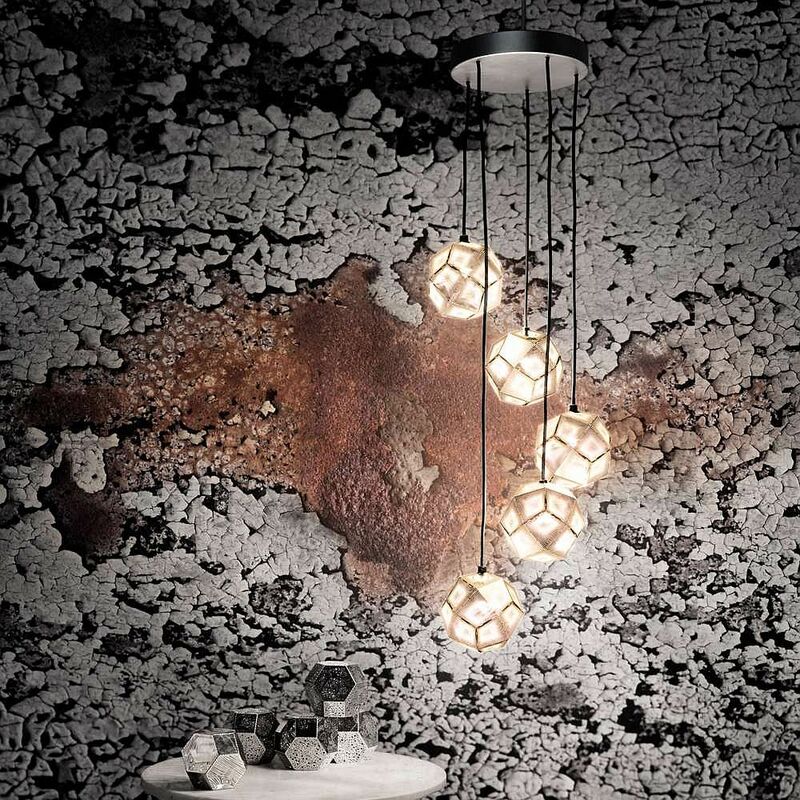 is much more than just a lighting fixture. 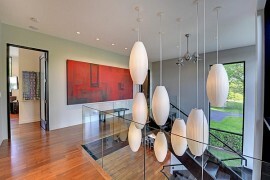 It is a work of art in metal and its simply spellbinding form draws you in instantly. 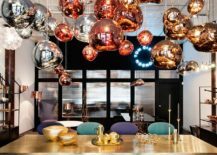 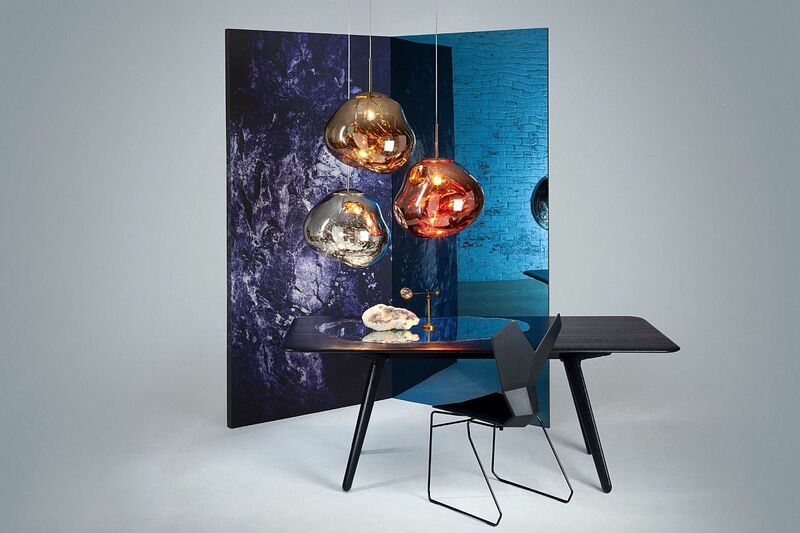 The unique pendant is in the form of a distorted sphere and has a sparkling mirror finish when it is switched off. 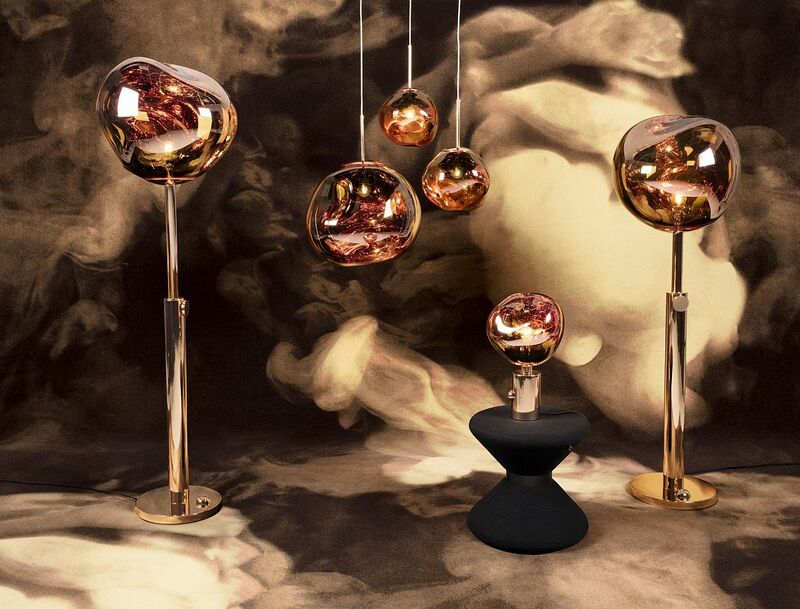 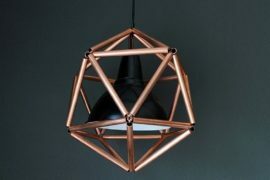 Turn it on and you get a completely different aesthetic with a translucent globe in copper, gold or chrome.